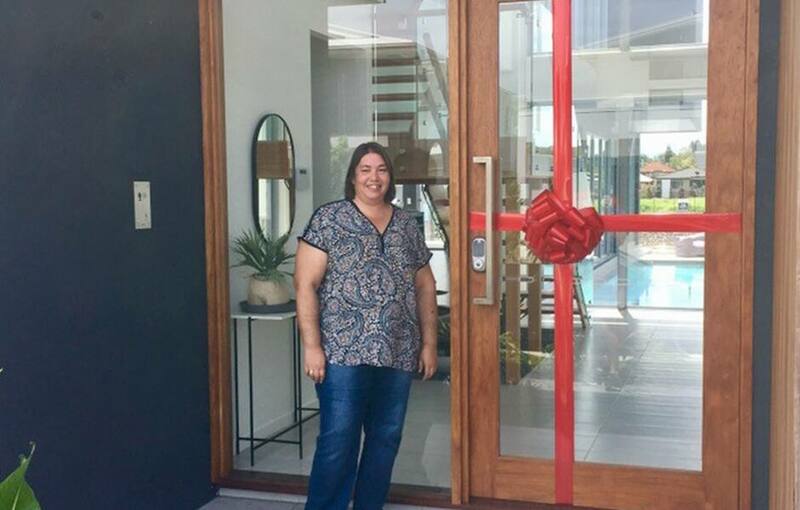 Brisbane Lions Member Jennifer Ninyette said she is still in shock after winning a beautiful four-bedroom house on Hope Island just by entering the Mater Prize Home competition. The five-bedroom house, worth approximately $1.8 million, is situated on the canal, has a luxury lap pool, a modern outdoor living area overlooking the beautiful waterfront and a double garage. Ninyette, a West Australian said it was “a bit surreal” walking around her new home and realising that it is now hers. Mater Prize Home caught her by surprise with the exciting news two months ago. She was busy at work finishing a project when they told her the house was hers. “It was all a bit of a shock and it’s still sinking in,” she said. One of the best aspects for Ninyette was how easy it was for to enter. Despite living in Western Australia, she has been a long-time supporter and member of the Lions since 2001. It was through her support of the Club she had the opportunity to win this amazing house. The Club has had a partnership with Mater Prize Homes for the past 10 years which has allowed Ninyette and others to purchase a VIP Membership which provides them entries to every Mater Prize Home there is. “It’s easy and everyone was really lovely when I won,” she said. Ninyette works in local government as a planning officer and with some long service leave coming up she’s got the perfect place in mind for a holiday.